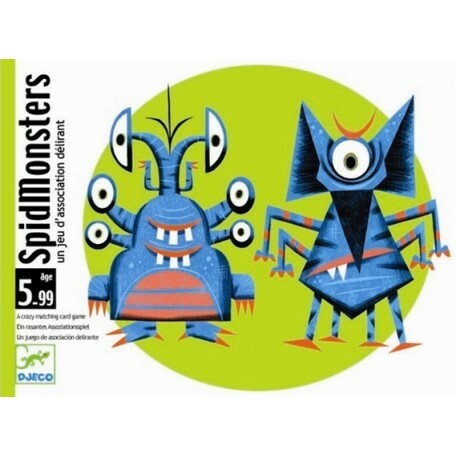 SpidMonsters from Djeco is a crazy matching games that will bring hours of family fun in your home. The goal is to be the first to play all your cards, but to do so, you have to be fast. There are 3 ways to match the cards: Pattern, planet or monster. 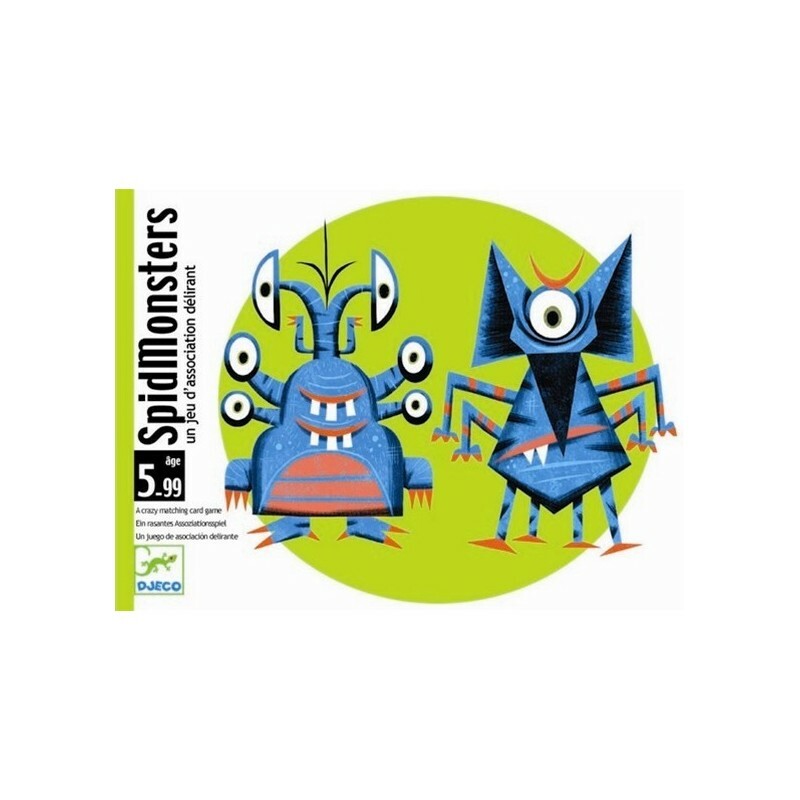 SpidMonsters helps developp observation skills. Each game last about 10 minutes. 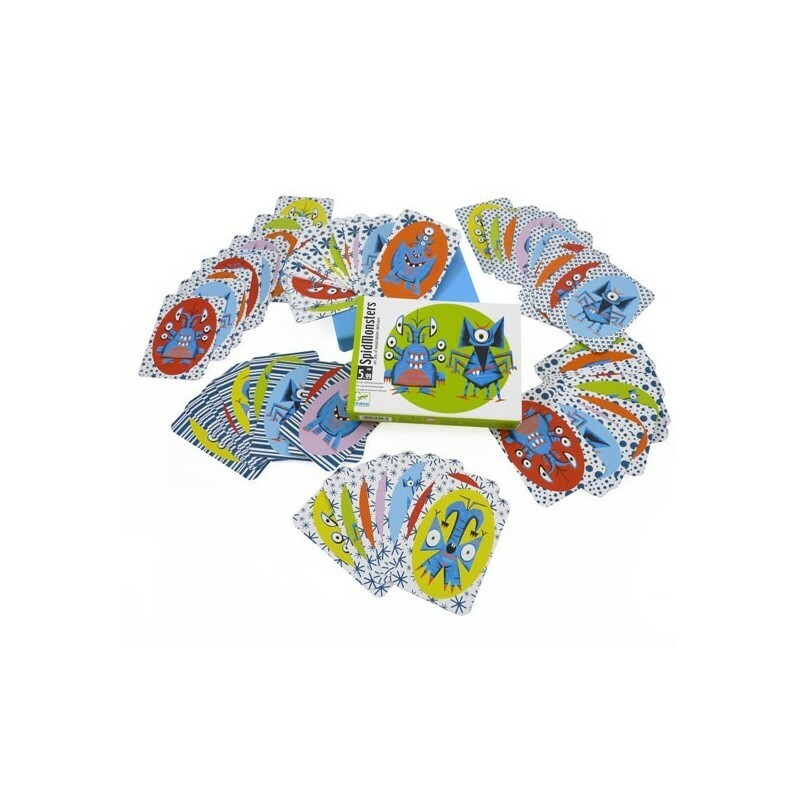 Contains 72 cards and rules.